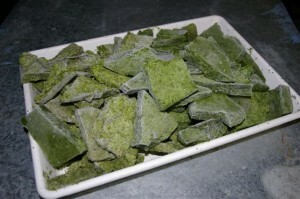 You can purchase your initial stocks from most aquarium supply shops. To avoid the duckweed from being pumped out of the tank, we made up an inexpensive duckweed feeder from a bucket with the bottom removed. 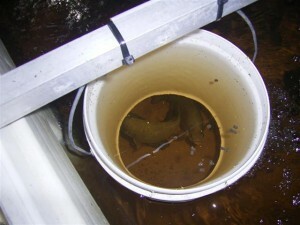 The bucket is suspended in the water and the duckweed is placed into the bucket. This arrangement allows the fish to access the duckweed without distributing it throughout the tank. 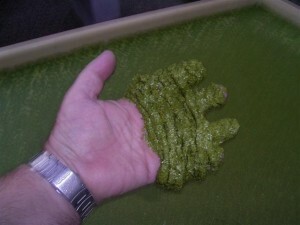 Frozen duckweed - fast food for fish.